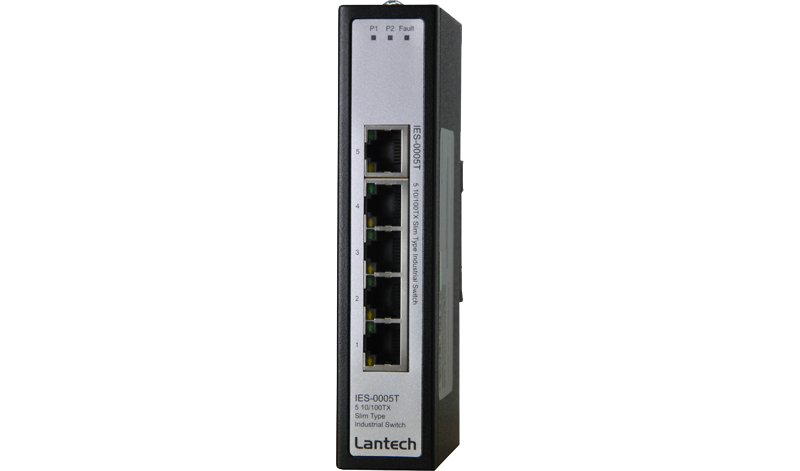 The Lantech IES-0005T-DNV is a slim type 5-Port 10/100TX Industrial Switch. It is able to use with wide DC input range and can be installed easily with DIN rail or wall mount kit. The IES-0005T-DNV is designed to meet the demands of industrial environments, comes packaged in a robust IP 30 housing and has been tested extensively to meet Industrial EMI and EMC standards. With UL Class I Division II approval, the IES-0005T-DNV can be implemented in hazardous or explosive condition without accelerating the potential damage. The ESD, surge, and power polarity reverse protections, making IES-0005T-DNV work well without interruption. 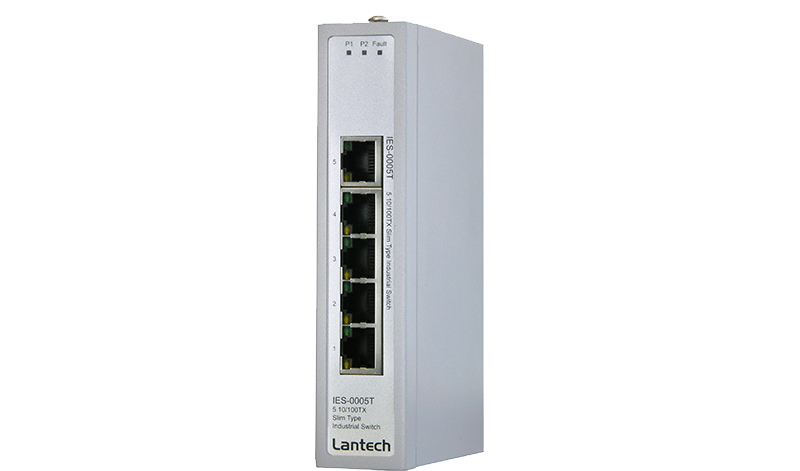 The Lantech IES-0005T-DNV is the best to use in Industrial automation, Transportation, Semi-conductor factory, Heavy Industrial factory and other factory assembly lines. Furthermore, UL Class I Division II safety certification makes IES-0005T-DNV your best choice to be installed in inflammable environment where the liquid, gas and vapor etc might present the hazardous condition which generally to be find in mining, oil & gas, chemical, processing automation areas. The Lantech IES-0005T-DNV model meets with the most critical test criteria in DNV Type test directives consisting of MED (Marine Equipment Directive), EMC (Electromagnetic Compatibility Directive) and LVD (Low Voltage Directive) in which vibration, high voltage, compass safe distance, salt mist tests, humidity etc are conducted to ensure the switch sustaining the harsh on-board environments often founded in Ships, Crafts and Offshore platforms.